We offer handpicked Villas for rent in Porec, with prices starting from 27 € per night per person. With the help of Villsy.com you can book your private villa with pool in Porec. Contact us via phone or form if you need more information. Poreč is the most popular tourist destinations in Croatia. The coastal city in the west of Istria has something for everyone! Beautiful beaches, culinary delights and eclectic culture make Poreč the perfect holiday destination! Moreover, in Poreč you can see true natural beauties. The mild climate brings the landscape in Poreč to bloom. It is also a side trip to Sveti Lovrec to explore the Istrian history and admire the beautiful landscape there. In order to enjoy the culinary delights in Poreč it is advisable to try the fish and seafood dishes in the local restaurants. Our insider tip for delicious grilled food is the Konoba Aba. To fully enjoy your holiday in Poreč , you can rent a first class villa with pool at villsy.com ! All our holiday villas in Poreč were visited by us and selected with the utmost care. Whether you are planning a vacation for two or with the whole family - on our website you will find the right villa with pool in Poreč ! Marvel at Poreč and rest at the end of the day in our holiday villas in Poreč , so that you can go on a voyage of discovery the next day! 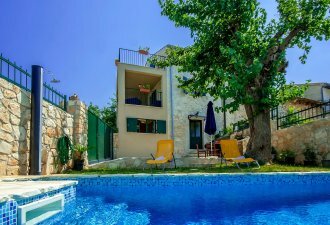 You can rent villsy.com a villa with pool in Porec! Enjoy spacious luxury at the best price and experience a relaxing holiday in a villa with pool in Poreč. There are different ways and means of transport to Poreč . From Nuremberg it takes about 8 hours to Poreč . When traveling by car, please note that tolls may apply and in some areas the vignette obligation. You should not disregard possible tunnel charges. It is also important to check the travel documents before departure, as they must be valid throughout the stay and upon departure. In addition, it is recommended to carry the green insurance card. You can also reach Poreč by plane . Although there is no airport in Poreč itself, you can first land in Pula to drive to Poreč . The flight time from Stuttgart is for example 1 hour and 20 minutes. From Pula it takes about an hour by car to get to Poreč . In addition, you have the option to take a rental car. Other landing options would be Ronchi dei Legionari in Trieste and Rijeka airport , these are in contrast to Pula further away from Poreč . From Venice you can also reach Poreč by ferry. However, you have to come from Germany first to Italy, if you want to use the ferry. Poreč is known for the care of its nature. In this game, the conservation organization Natura Histrica t a particularly important role: It guards and protects the natural monuments of Istria. That is why many beautiful landscapes in this area are still preserved. In Poreč and surroundings, nature can thrive. Special highlight s are the Baredine cave and the National Park Brijuni. But the area around Poreč also has much to offer. Anyone interested in historical traditions and the history of Istria should visit in any case the places Kastelir, Tar, Vabriga, Visnjan and Dracevac. These places are only a few kilometers from Poreč . For example, in Tar-Vabriga you can visit the old church of Sveta Martina. An inscription states that Pope Pius VII was here in 1800. Also the church Sveta Mihovila XVIII is worth seeing. The other neighboring towns of Porec have n also beautiful beaches to offer, such as the locations Vrsar and Baderna. Therefore it is worth to rent a villa with pool in Poreč ! From here you can discover Poreč itself and in just a few minutes you can reach the neighboring towns! If you rent a villa in Poreč , you can sit back and relax at the end of the day! There is always something going on in Poreč . Boredom is guaranteed not to come here. Among the most popular leisure activities include water skiing, bungee jumping, but also sailing and diving. Culturally, something's going on here: Events like classic jazz concerts or cozy festival e are held at regular intervals in Porec. Good food is also found in Poreč . The local restaurants offer you delicious dishes with fish, shellfish and much more. 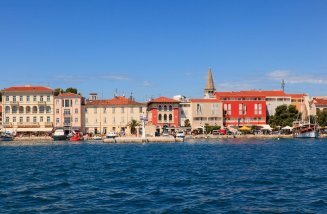 If you are located in Porec, it is worthwhile to visit, open all year round, tavern To visit Cakula . The restaurant enjoys a very good reputation and the value for money is right. 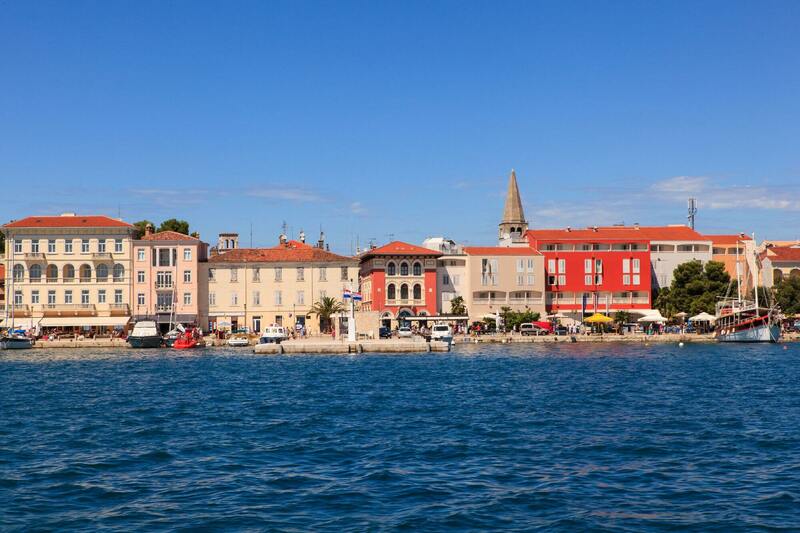 The area around Poreč also has great recreational activities to offer. The Dinopark in Funtana is great fun for the whole family. It is the first Croatian theme and show park . Part of the park is in an old quarry. There you will find moving dinosaurs, which are displayed in their natural size. The beautiful nature enhances the authenticity of prehistoric times . You feel as if you have embarked on a journey through time. 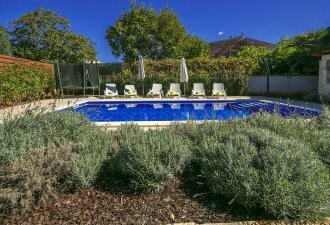 To help you relax after an eventful day, villsy.com offers you world-class holiday villas with pool! Find the right villa with pool in Poreč ! Book your villa with pool in Poreč at Villsy ! We have the right holiday villas for your holiday in Croatia! On our website you will find hand-picked villas, which were visited by our team and appraised! With us you can be sure that every villa in Istria offered by us offers you the highest comfort. If you have questions, you can reach us 24 hours a day, seven days a week. We are always there for you with complications and ambiguities! With us you can relax and rent your villa with pool in Istria. You can conveniently book your villa in Istria online. Villsy offers you prime rental vacation rentals so you can enjoy your vacation!